Join us for another installment of Writers Workshop! This FREE workshop is for writers of all-ages and experience levels. 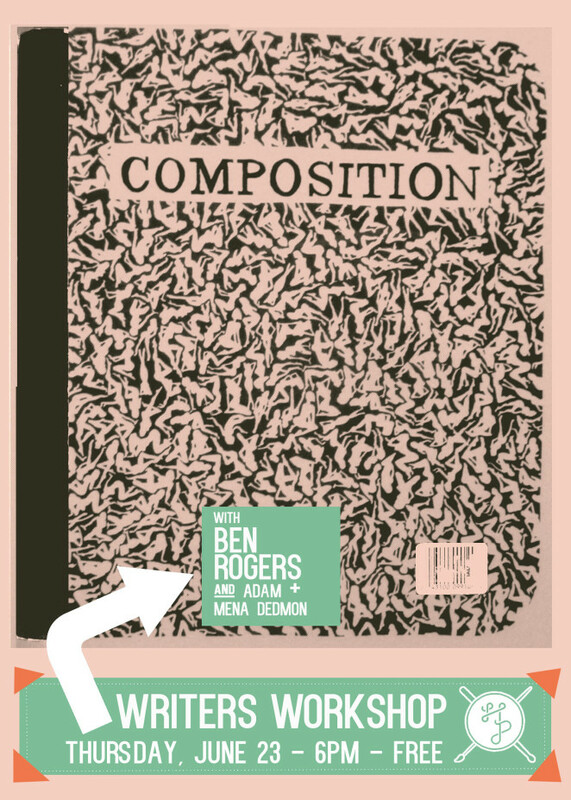 At the workshop, author Ben Rogers will share his experiences as a novelist, give advice, and answer the questions you may have about writing. Joining him will be writers and educators Adam and Mena Dedmon. Come hang out, learn something new, and of course, write! Ben Rogers is author of the novel The Flamer as well as the first ever comprehensive textbook on nanotechnology, Nanotechnology: The Whole Story. He has also received a Nevada Arts Council Fellowship and a Sierra Arts Foundation grant for his amazing work. This is a FREE workshop. But let us know if you will be joining us by RSVPing below under tickets!